So we talked about a first touch on my last blog post. Now let’s talk about a First Look! What is a First Look? When does it happen? A First Look is when the groom sees the bride, in her wedding dress, for the very first time but before the ceremony even begins. So many emotions can come from this intimate moment and the reactions are always so beautiful to capture! It is said that seeing the bride in her dress before the ceremony is bad luck but I think that it’s nothing more than an outdated superstition. 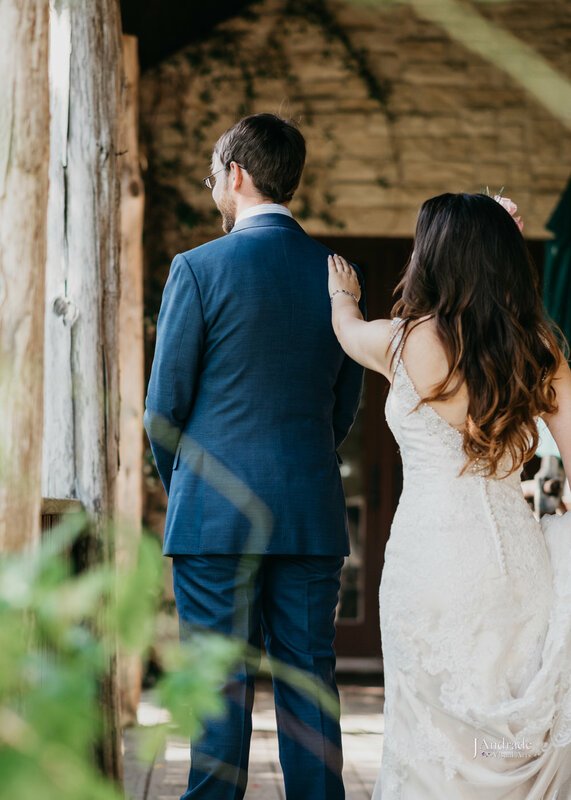 Doing a First Look can be one of the most intimate events you get to do on your wedding day. I am 100% for First Looks, especially for winter weddings. I love photographing in the daylight and usually for winter weddings the sun goes down as early as 5:30pm. Not everyone wants to have an early 4:30pm ceremony. The First Look solves the lighting issue while giving couples a serene moment to get lost in each other in the hustle of their wedding day. 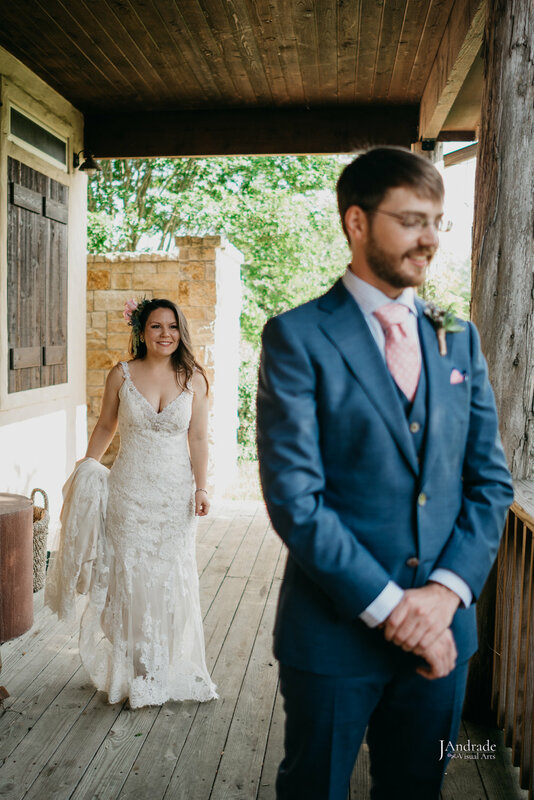 Doing a First Look would also be giving you the option to go straight into your reception after your ceremony to mingle with your guests. To prepare for this, you would just let your family know to arrive early for formal photos, about 1.5 hours before the ceremony. If you like the idea of a First Look before the ceremony but don’t want to do it with your Groom/Bride you can always do one with your wedding party or parents, especially dads! I always try and push a dad First Look, it’s easy and fun! I would probably do one with my dad and brothers even if I already know my brothers expressions won’t even change lol! Hope you enjoyed this read and learned a little more about a First Look on your wedding day!